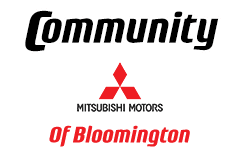 At Community Mitsubishi of Bloomington, getting pre-qualified for financing for your new Mitsubishi or a pre-owned car purchase is fast and stress-free. Fill out a secure credit application below, and you can be reviewed for auto financing in moments, not hours or days! Once our in-house finance team reviews your credit application, a finance specialist will contact you to go over viable financing solutions that suit your budget; you can also discuss the new or used Mitsubishi you want to drive home! If you have yet to do it already, then begin shopping our dealership's new Mitsubishi inventory or used car selection while you submit your credit application. Our full-service new and used car dealership and finance staff proudly serves car buyers of all credit levels near Indianapolis and Columbus, IN, so apply for an auto loan today!